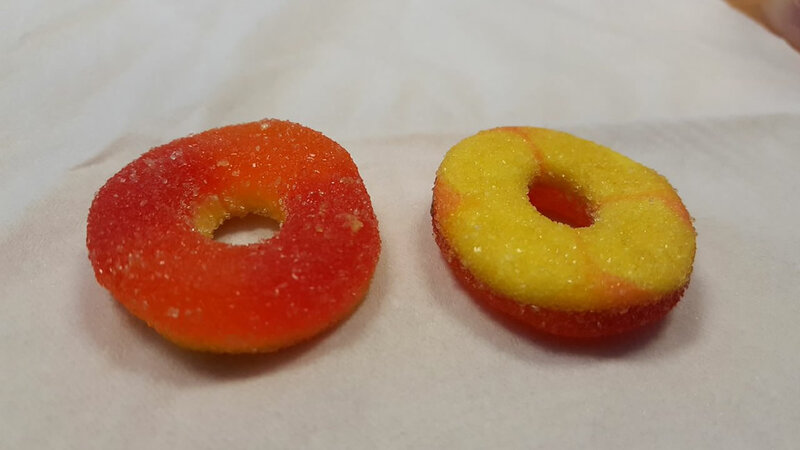 SAN FRANCISCO, California -- The Department of Public Health in San Francisco says THC-laced gummy candies sickened 19 people at a Quinceañera party in San Francisco's Mission District Saturday night. ABC7's partners at Univision report final lab tests on the candy are not yet available, but 12 of the hospitalized patients tested positive for THC, the main ingredient in marijuana. The party was catered by company out of Oakland. Investigators are trying to determine where candies came from. Three children remain hospitalized this morning. At least 15 people were rushed to the hospital after becoming ill from something they ate at a family party in San Francisco's Mission District Saturday night. Paramedics were called to the Women's Building on 18th Street shortly after 10 p.m. The people were attending a Quinceañera, a 15-year-old girl's coming out party, when men and women of all ages started getting sick. Symptoms included heart palpitations, shortness of breath, vomiting, and in some cases a swollen tongue and a rash. Paramedics took several people to the hospital. Zuckerberg San Francisco General treated and released five people, UCSF Benioff Children's Hospital treated and released 10 people. ABC7 News spoke to a security guard who was working Saturday night and he says the first person he saw showing symptoms was a 61-year-old man. "I see this gentleman sitting down and I walk over to him and ask him what's going on in Spanish and he says, 'I feel pain.' And I asked the wife, 'what did he eat?' But he responded and he said, 'I ate a candy,"' security guard Raul Hernandez said. And that candy is said to be a gummy candy that the fire department says didn't have any markings or labels to help trace where it came from. The San Francisco Department of Public Health said they were not only testing the candy, but other items that were consumed at the party.